It’s that time of the year already and Christmas is just around the corner! We have just created a great selection of tea lover’s gifts and they are available in our online shop. If you are looking for tea gift ideas, look no further! Below are some of our suggestions for tea gifts and tea related presents to make someone’s Christmas extra special this year. A tea subscription is the perfect gift that keeps on giving! 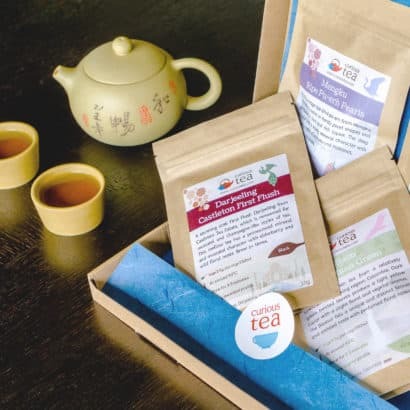 Choose the Discovery Subscription if you would like your loved one to receive a special tea treat every month of four different gourmet teas to try. This tea gift subscription contains four teas of 10g each every month, and as you can brew all our teas more than once, this is enough to make up to 120 cups of tea. You can choose a recurring billing plan or opt for one of the fixed one-off payments – your choice. You can also have this tea gift subscription delivered straight to the recipient with your personal gift message. We also have a wide selection of tea gift boxes now available to suit different tastes and budgets. Particularly interesting gift boxes are the ‘Every Tea Type’ Connoisseur Gift Box and the Around the World in 8 Teas Selection Box. These contain some of the more unusual teas that will please the most discerning tea lovers. If you are buying one of our tea selections as a gift, make sure to opt for the gift packaging option. This consists of an embossed tea gift box that is lined with mulberry paper. This is perfect for gifting straight away. You can also easily add your gift message during the checkout process and we can dispatch the gift straight to the recipient. Finally our Curious Tea Towel makes a fantastic little tea related gift that will surely please any tea fan. It is both useful and practical and can make a great and unusual tea related stocking filler! Finally a note on our Christmas opening schedule. 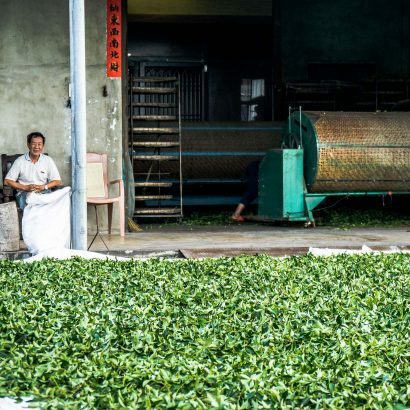 As most of the Curious Tea team will be away on a tea sourcing trip, we will operate a reduced service between 19 December to 17 January. Subscriptions will be unaffected but our shop selection will be limited to only our most popular items that will be dispatched on a weekly schedule. You can still place any other orders during this time but these will only be fulfilled on 18 January. If you would like to order any teas and tea gifts before this period, please make sure to place your order before 11pm (23:00) on 16 December. This entry was posted in Monthly boxes on December 8, 2016 by Curious Tea.